When the United Nations Development Program (UNDP) announced its first National Goodwill Ambassador to promote environmental responsibility yesterday, they picked the right person: actress Zhou Xun. 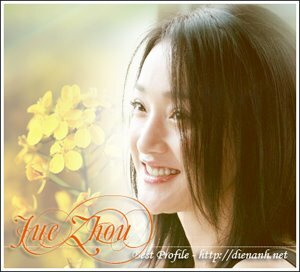 Sure, Zhou has green cred -- she turns off the tap while brushing, she prefers bikes to SUVs, and she urges her film crews to use reusable chopsticks, she says. But more importantly, she's Chinese. In a country where the rhetoric on environmental protection seems inversely proportionate to public awareness (especially among young people! ), celebrity environmentalism may be one of the more effective ways to get the message out. And aside from fur-wearing Gong Li (or Leo, on a recent stop in Hong Kong), few stars in China have become known for their green choices. Too bad. Star-powered campaigns can be a relief from the typical government initiatives, not least because they are cool (and hot, see below) in a way that China's apparatchiks just aren't. And since celebrities' daily goings-on are often a topic of conversation (they spew carbon just like us! "), their green lifestyle choices can set a strong example -- an important aspect of the Confucian tradition. "To save water, I personally try not to take baths anymore (only showers)," she said yesterday. "Habits can be very hard to change but I want to let people know that we can all make a difference."